Wool sleeps cool. Its fibers are hollow so they can absorb both heat and body moisture. The fibers cannot harbor anything though, so they release substances to the air for dissipation. Like our kapok pillow, the wool pillow is both lightweight and a uniform shape, so that your sleeping surface is smooth and consistent. 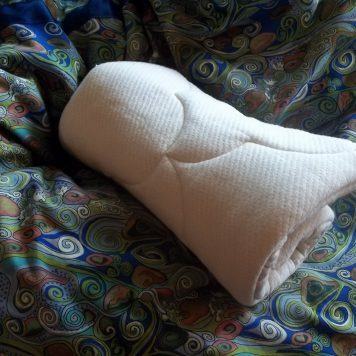 The soft pillows are preferred by back and stomach sleepers, children and for pillow cuddlers. 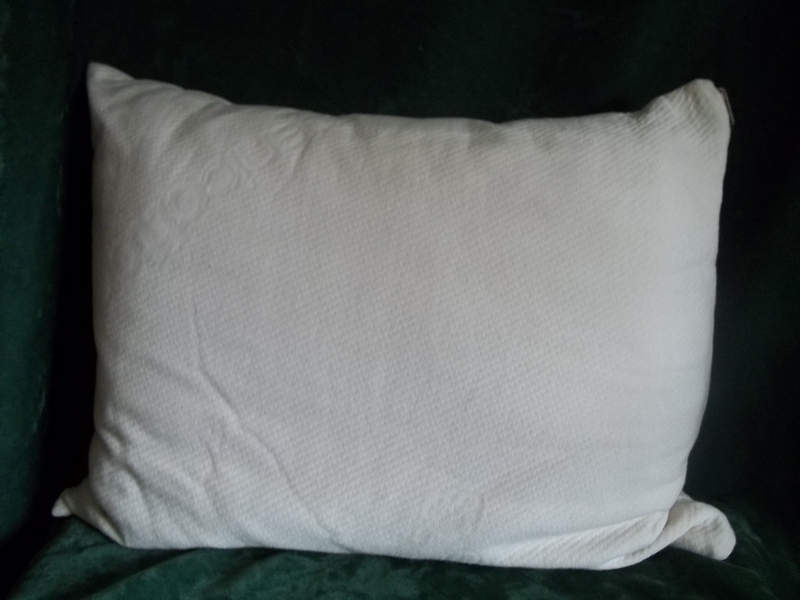 The firm pillows are not firm, but needed some label to designate their addition height over the soft pillows. They are preferred by side sleepers or those with broad shoulders. 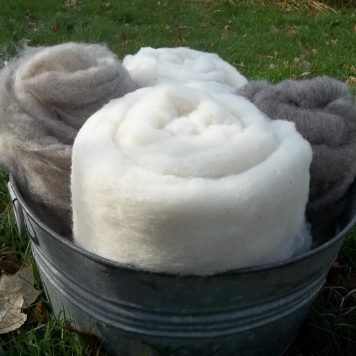 Wool will compress slowly over the years and after about 8 years, you will probably want to get it relofted. 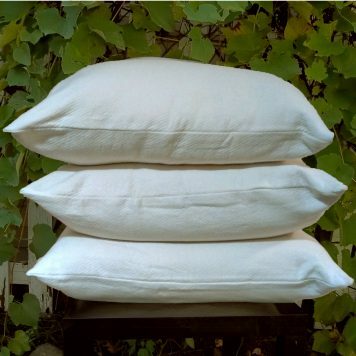 We do not provide that service but St. Peter Woolen Mill can wash and recard the wool for you to restore your pillow to its original fluffy state. 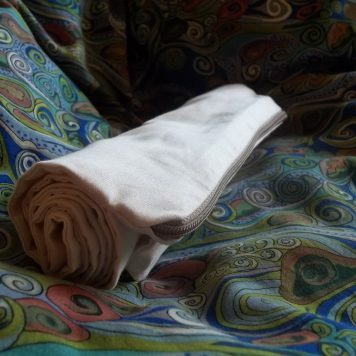 When you will start to notice the wool’s compression (see Care tab), probably after a few months, if you haven’t cut any wool off from your original roll to add back into your pillow for fresh height (see video below), you can purchase wool by the 1/2 lb. here to add to your pillow. This kit is not the same price as selecting the purchasing the same products separately. It is discounted here to account for its combined components. This kit does not come assembled. To let you participate in the DIY aspect and to let you choose your amount of fill inside the case, we let you stuff the pillow yourself. 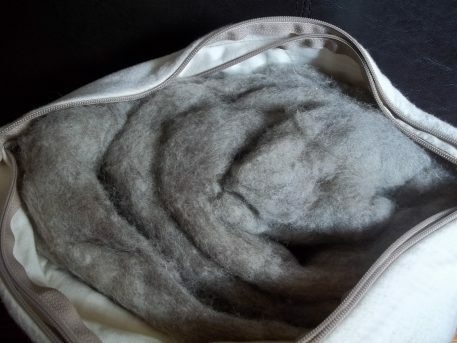 Here is a short video on how to assemble your wool pillow. 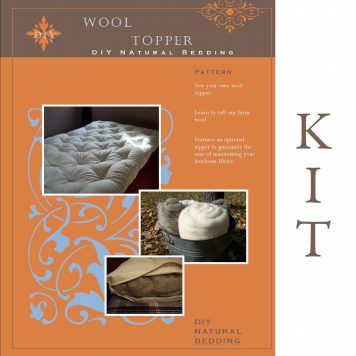 To buy more wool to layer in your case or to purchase the pillow parts separately, see our Pillow Parts page. Wool batting compresses 30% with use. If you want your pillow to compress evenly, use it evenly the first few months. Flip it frequently, sleep on the edges and corners as well as your center position. 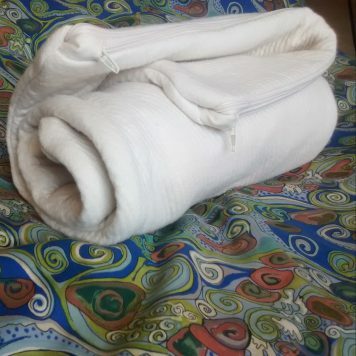 Outer pillowcase is prewashed and can be washed on hot as often as you like. Inner case may also be washed as you wish. Fill may be hand washed gently in cold or warm water. Squeeze out water by hand or on spin cycle. Agitation, heat and strong soap will cause the wool to felt. Dry wool batt flat in the sun; it will shrink and felt in the dryer.